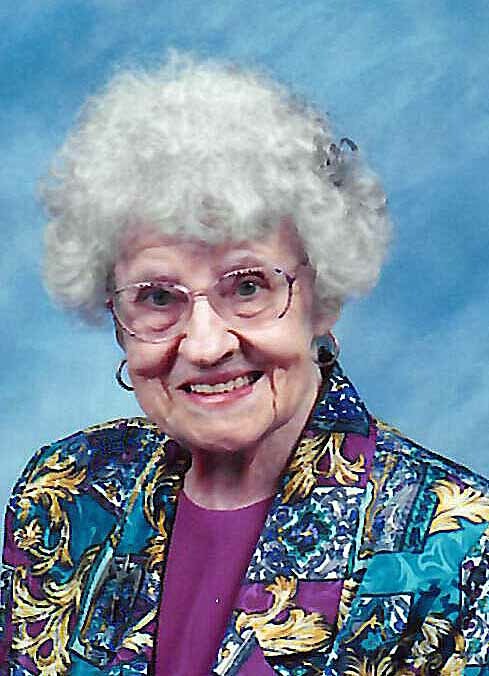 Ruth Ida Turner-Roe, age 98, of Merrill, passed away on Tuesday, March 26, 2019 at Pine Crest Nursing Home in Merrill, under the care of Ascension Hospice Services. She was born September 4, 1920 to the late Peter & Anna (Seeger) Spanheimer. Ruth married Harold Hantke in Milwaukee; he preceded her in death. She married Frank Turner-Roe in Milwaukee; he also preceded her in death. Ruth worked as a sales clerk for Gimbles Department Store and Royal Crown Hosiery. She also worked at Master Lock and Badger Meter. She loved spending time with her family. Ruth enjoyed watching Mash, Golden Girls, and doing word searches. She also liked to play Bingo. Ruth had a lot of prizes from winning at Bingo. She was a member of St. John Lutheran Church. Ruth also was a member of Ladies Auxiliary for the Fraternal Order of Eagles, VFW & American Legion. Ruth was very patriotic and was honored to be in those organizations. Survivors include son: Carl (Hildegard) Hantke, Merrill, grandchildren: Josef Hantke, Steven Hantke (with Robbin Harder) and Caroline (Timothy) Meehean. Great grandchildren: Monika (with Michael Rosek), Brandon and Mia Hantke; Andrew, Kristyn and Eric Stiver; and Great Great grandchild, Madilyn Rosek and many other relatives & friends. She was preceded in death by her husbands: Harold & Frank; brothers: Walter (Mabel), John (Vera), Frank (Margaret), George (Marcella), and Albert (Florence) Spanheimer, one sister: Alfrieda (Arthur) Becker. Memorial Service for Ruth will be at 7:30 PM on Friday, April 5th, 2019 at the Pine Crest Nursing Home Chapel. The Rev. David Szeto will officiate. Visitation will be from 6:00 PM until the time of service. An Eagles Auxiliary Tribute will be conducted at 7:00 PM. Burial will be in Wisconsin Memorial Park, Milwaukee, WI at a later date. Waid Funeral Home & Cremation Service of Merrill is assisting the family with arrangements. Online condolences may be made at www.waidfuneral.com . Special thanks to the staff at Pine Crest Nursing Home and Ascension Hospice Services for their excellent care of mom.